When dark fantasy RPG Diablo first came out in 1996 I ended up with a demo of it. The game took place in one huge procedurally generated dungeon under the town of Tristram, it saw you hack and slashing your way to the bottom where the demon Diablo awaited. 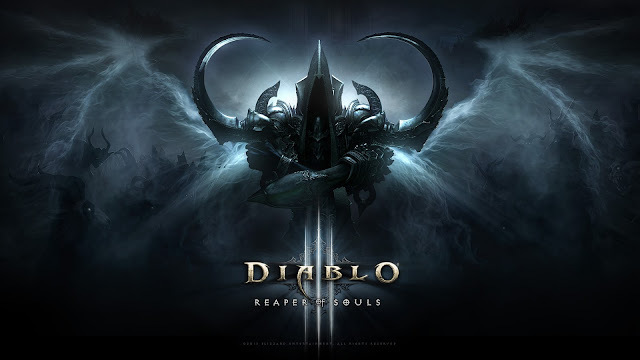 Up until getting Diablo III: Reaper of Souls - Ultimate Evil Edition that small demo was all I had played of the series. As such I went into this fully expecting barely any story, and just the one dungeon, much in the way Torchlight was. I was pleased to discover not only quite a big plot, but also that you travel to many, many different places. 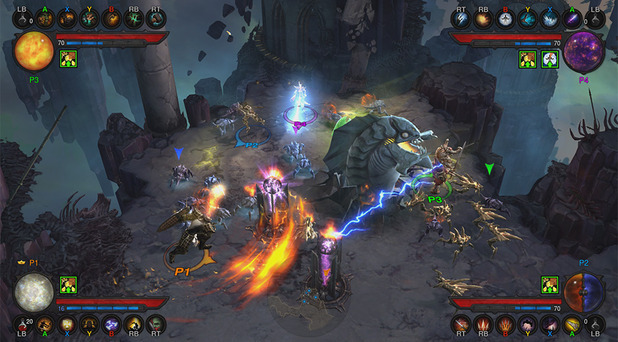 The game takes place in a fantasy world where there are three layers of existence; Hell, Sanctuary (Earth) and Heaven. 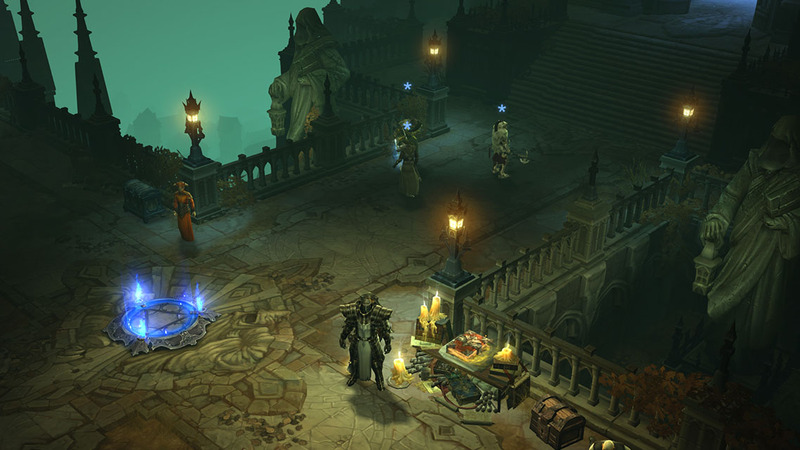 After choosing your character you arrive in the small town of Tristram to investigate reports of a fallen star that has caused the dead to rise from their graves. From this humble beginning you uncover a plot by the arch demons of Hell to once again try and conquer Sanctuary. There are a multitude of different classes to choose from when beginning your adventure, I myself chose to be a female Barbarian that I named Lucinda. Of the other classes I can't really say how they play but the way they level up would be the same. By the end of my (at a guess) thirty to fifty hour adventure I had reached the high ends of level 60. Each and every time I levelled up to that point I got at least one new attack, or buff for an attack. This was very impressive and made increasing in level actually an important thing to do. For me by the games end I was able to summon rockfalls multiple times, summon ghostly barbarians to fight by my side, cause earthquakes and a whole host of other cool attacks. All of these recharge on a timer so in theory you need to keep an eye out on where your specials are at. This is a hack and slash and so there is always the danger of things getting a bit stale. For me I played at max a couple of hours at a time so that boredom never set in. The sheer variety of locations you go to always kept things feeling fresh also. You fight through dungeons and crypts, small towns and huge cities, swamps, battle grounds, castles, you even get to battle in Hell and Heaven themselves. The Playstation 4 version includes the expansion pack Reaper of Souls as default, in total there are five long chapters to get through. Each chapter takes you to a completely new location in the fantasy world, the second chapter for example takes place around a city out in the desert, while the third part takes place during a huge siege in the middle of a human vs demon war. Where ever you go you are constantly getting loot dropped by fallen foes and found in chests. There are a load of different armour types that totally change how you look, the same to be said for the weapons. While the plot is never anything too special I did enjoy it, it gives you great motivation for the endless fighting. I played the game in single player, though up to four can fight, I imagine that would be a lot of fun to do. Having watched some Let's Play videos on YouTube it certainly looks that way. In single player you get one of three A.I controlled assistants to follow you around. There is a female mage, a Knight, and a rogue who join you and can be switched between at the camps. Also at story points you get other random A.I characters to fight with you. The expansion chapter is nearly the best of all the chapters, and also seemed the longest. It features an awesome level set in an enemy infested burning city that was so much fun to battle through. At your base camp you have various characters to gain story from, as well as a blacksmith (who can create weapons), a jeweller (who can create powerful gems to attach to your items), and a fortune teller. It seems the fortune teller originally only appeared in the expansion as when you find her there she acts as if she has never met you before which was odd seeing as I had talked to her hundreds of times before in the previous chapters. It seems strange such a glaring plot issue wasn't tidied up. The game looks pretty nice for something that originally was released in 2012. Locations are full of detail while the enemies all have a good amount of animation to them. Your main foe are various demons, these range from hulking brutes to more impish ones. There are also loads of zombies to fight, especially in the first and last chapters of the game. 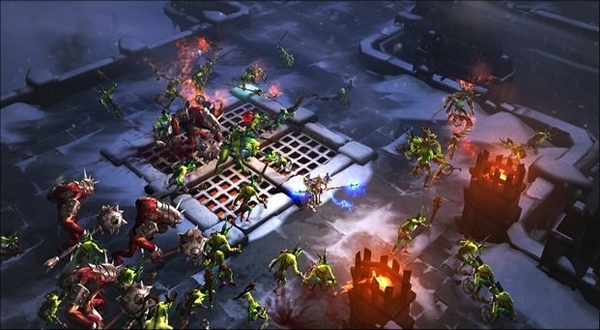 The game has a huge variety of enemies, you battle all the traditional fantasy types such as giant spiders, cultists, walking trees, ghosts and more. It was fun to also get to battle against angels at times! Bosses are usually giant, particularly the chapter two boss that filled the screen. These battles are all fun to do, and are complimented by unique boss enemies dotted around the levels. The levels mostly come in two styles; large open areas that take forever to explore, and more linear and sometimes maze type dungeons, no idea if either of these are procedurally generated. Something that eventually became an issue was how easy the game was. I started off on Normal but soon had to upgrade to Hard, even this was not enough for me and by the end I was on Expert and still not really struggling aside from a couple of boss fights. There are a host of harder difficulties past that though so I think you are expected to constantly be upgrading as you play. Another issue was the auto saving, I would have loved to be able to save manually as it was often hard to tell how far back you would be taken should you have need to quit the game suddenly. I really enjoyed my time with Diablo III, while it would have been awesome to play this with friends I still found myself suckered in to the constant levelling up and upgrading my weapons and armour. There is plenty more to do after the base game is finished so maybe one day I will return, for now though if you are looking for a great example of a hack and slash RPG then look no further than this.